Assault Android Cactus: announcing Assault Android Cactus! I am pleased to announce our new game, check out our first trailer! So what is this crazy thing? Assault Android Cactus is a twin stick arena shooter with an emphasis on high pressure and stylish action. 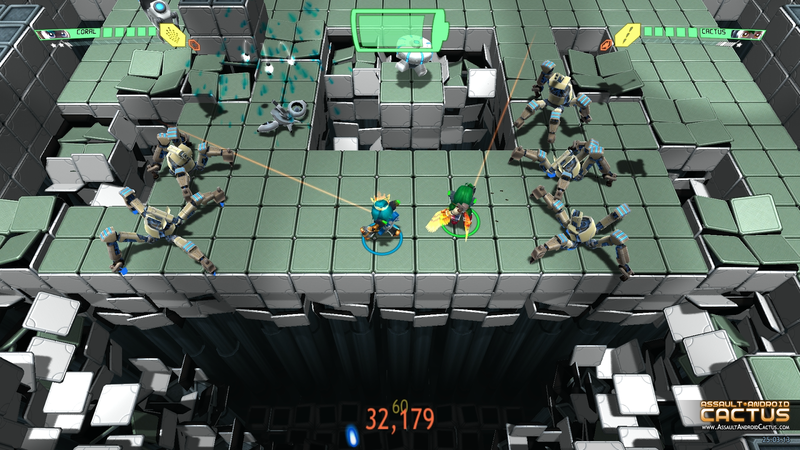 Expect screen fulls of enemies, buckets of bullets and high scoring combo chains! enemy lasers are indiscriminate in their targeting, following the adage, "I'm a laser, I do what I want! PEAOOOOW!" You assume the role of the inexperienced yet enthusiastic police android named Cactus, responding to a stranded space freighter only to discover it under siege by its malfunctioning robot workers. Cut off from the outside and in over her head, Cactus and the androids she recruits along the way must battle through the crippled Genki Star to reach the brain of the ship and put things right before it's too late. 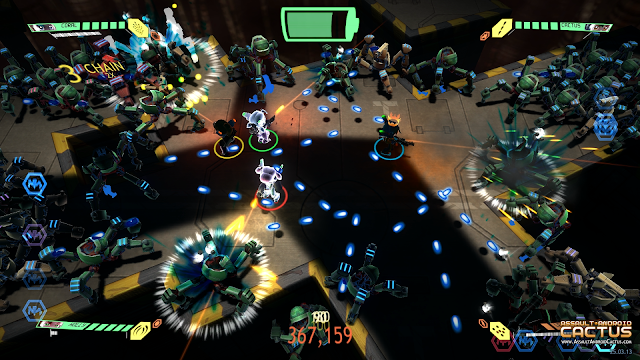 Each playable character has unique primary and secondary weapons, giving each android a distinctive style. The lower damage output of Holly's versatile seeker gun is backed up by the destructive power of the cannonball, while Coral can deploy an omni directional plasma sphere that continues dealing damage even as she switches back to her shotgun. 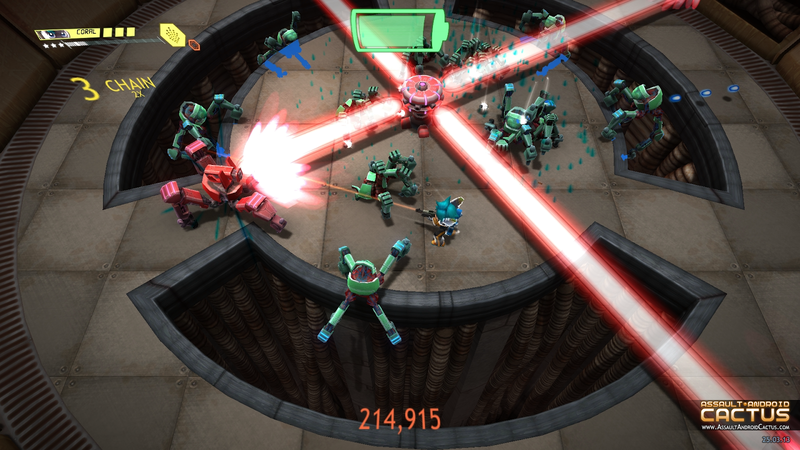 Assault Android Cactus is in development for desktop PC platforms (Windows, OS X and Linux) and we do not currently have an estimate for when the game will be complete. It is in a great state though and very playable! We will release more details when we know them! We're still pretty new at this but we'll be be setting up more of the site and add more ways to stay informed over the coming weeks, so please keep an eye on us! We'd love to hear your comments and if you would like to get in touch with us directly, drop us an email!